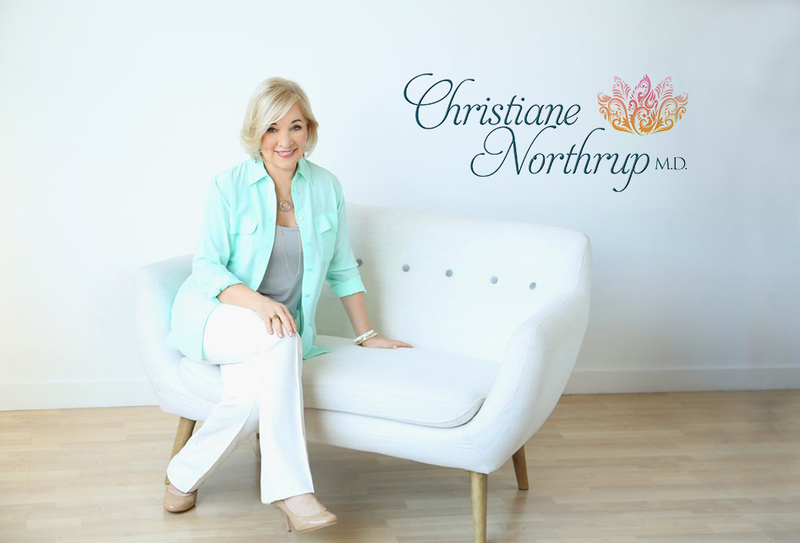 ﻿ Hot Flashes | Christiane Northrup, M.D. Hot flashes, or vasomotor flushes, are characterized by the feeling of heat and sweating, particularly around the head and neck. They are the most common menopausal symptom, affecting anywhere from 50 to 85 percent of women at some point during their climacteric years. Mainstream medicine considers hot flashes to be a result of declining estrogen levels at menopause. Indeed, hot flashes are seen in women with low estrogen; however, women with high estrogen levels or fluctuating estrogen levels also experience hot flashes. It is not uncommon for women to experience hot flashes during pregnancy, and also premenstrually. Hot flashes often start just before or during the menstrual period during perimenopause. While hot flashes tend to go away a year or two after menopause, many women experience hot flashes post-menopausally. Depending on the intensity of a hot flash, some women may get accompanying headaches or feel dizzy, tired, weak, or lose sleep. Others experience heart palpitations or erratic heart beats. Many women flush, sweat and then become chilled afterward. Night sweats are on a continuum with hot flashes. In Traditional Chinese Medicine, 3:00–4:00 A.M. is the most common time for night sweats, which may cause you to awaken, drenched with sweat. Solutions are the same as for hot flashes. Hot flashes occur when blood vessels in the skin of the head and neck open more widely than usual, allowing more blood to shift into the area, creating heat and redness. Researchers believe that this vascular shift is due to changes in neurotransmitter activity that are not full understood, occurring in response to erratic hormone levels. Women with low progesterone but normal estrogen levels may experience hot flashes and night sweats. Other hormones may also play a role in causing hot flashes. Hot flashes also occur with low testosterone levels (even in men), high FSH (follicle stimulating hormone), surges of LH (luteinizing hormone), increased cortisol, increased stress hormones and low beta–endorphin levels. Even low levels of antioxidants in the body can contribute to hot flashes, which is another reason why a hormone-balancing diet rich in nutrients and low in refined carbohydrates is important to support the body during menopause. Certain illnesses, such as anorexia nervosa, can cause hot flashes. Medications can also cause hot flashes. Over-the-counter medications for sinus and allergy trouble can have an adrenaline-like effect that can trigger hot flashes. Prior to menopause, I experienced hot flashes while taking GnRH to shrink my fibroid before having it surgically removed. While researches continue to look at the underlying causes of hot flashes, one thing is certain: Every woman can learn to stay cool by paying attention to her own individual triggers. What seems to trigger a hot flash for one woman, may give another woman no trouble at all. Learning your triggers may be all you need to control your hot flashes. Here are some common triggers that you may want to experiment with. Remember to keep a journal to record your individual findings. Hot, spicy food. Many women find that spicy food aggravates or even triggers hot flashes. However, some researches now believe that hot peppers can be great for combating hot flashes, as women in South American and Mexico rarely experience them. Hot drinks. Warm beverages can heat you up just enough to trigger a hot flash. If this is true for you, stick with cold or room-temperature drinks instead. Caffeine. Eliminate all caffeine (even decaffeinated drinks) for one week to see if caffeine is a trigger for you. Alcohol. Alcohol is a refined carbohydrate that acts like sugar in the body. It can cause an epinephrine release, which can trigger a hot flash. Red wine is particularly potent. White sugar. Sugar has also caused heart palpitations in some of my patients. Stress. Stress causes a hormonal chain reaction in the body that has been linked to increased number and severity of hot flashes. See Solutions for ways to combat stress. Hot weather. You can’t control the weather, but you can set your thermostat at a comfortable level; 70 degrees during the day and 65 at night may help keep you cool. Hot tubs and saunas. Hot tubs and saunas can cause your body temperature to rise and trigger a hot flash. It’s best to avoid these if you’re sensitive. Unexpressed anger. Keeping feelings of anger and shame bottled up can lead to a whole host of health problems. Identify the root of your anger and express it openly. You may want to keep a journal to help you uncover patterns. Hot flashes are most common in Western cultures. Some researches are quick to excuse the low incidence of hot flashes and other menopausal symptoms in non-Western cultures, such as Japan, to a diet typically high in soy foods. However, other non-Western cultures such as Hong Kong, Pakistan, and Mexico also report, on average, that only 10 percent or less of menopausal women have hot flashes. In our culture 70 to 85 percent of women suffer from hot flashes, sometimes severely. I believe that this is, in part, because we have been led to believe that issues that arise premenstrually and perimenopausally are just hormonal, or that they exist in a universe that is completely separate from the rest of our lives. Guthrie1 This is simply not true. By reducing our bodies’ signals to physical symptoms, we are “buying in” to the belief system that pervades Western medicine. If we don’t pay attention to the emotional issues that arise premenstrually and perimenopausally, our symptoms will continue to escalate until we pay attention to the signals our bodies are sending. These signals are usually related to a larger need that is not getting met. 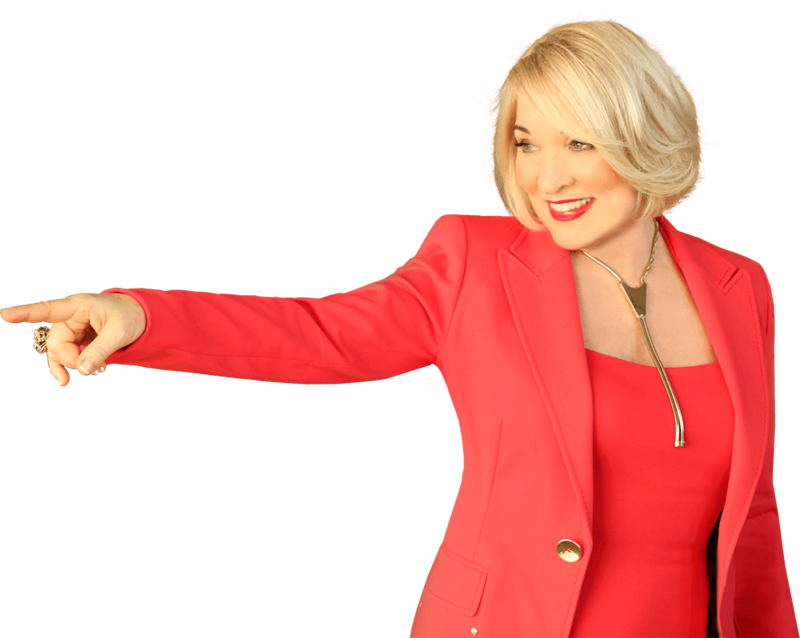 While I am not discounting the direct physical effect of changing hormones, it is important to understand that uncomfortable symptoms, such as hot flashes, will be magnified and prolonged if a woman is carrying heavy emotional baggage. In general, women with a history of anxiety, panic attacks or depression are more troubled by hot flashes than women without these experiences. If you’re hot and bothered, there are a number of ways you can control the severity and frequency of your hot flashes. Try estrogen replacement. Estrogen replacement is highly effective in cooling hot flashes, and is considered the “gold standard.” I recommend only bioidentical estrogen at individualized doses. You may want to have your hormone levels tested before you begin using estrogen. NOTE: Bioidentical progesterone is entirely different biochemically from the synthetic progesterone found in most conventional hormone replacement regimens and in birth control pills. It has far fewer side effects compared to the synthetic varieties. Learn stress reduction techniques. 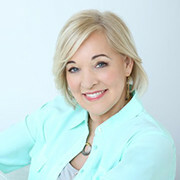 Dr. Herbert Benson, author of the famous Relaxation Response and founding president of The Mind/Body Medical Institute has successfully taught women relaxation techniques and cognitive behavioral skills to help them ease the transition to menopause. 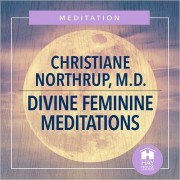 His studies show that relaxation-based techniques help cool hot flashes in 90 percent of women without any hormonal therapy at all. I recommend that you read Minding the Body, Mending the Mind, by Dr. Joan Borysenko and Healing Mind, Healthy Woman, by Alice Domar, PhD and Henry Dreher. Improve your diet. Many women also find relief when they improve their diets. (See The Wisdom of Menopause, Chapter 7, “The Menopause Food Plan.”) Soy foods (a total of 45–160 mg of soy isoflavones per day) provide relief. Try herbal therapies. There are a wide variety of herbs used on their own or in combination with other helpful traditional herbs, including Angelica (Dong Quoi), burdock, chasteberry, motherwort, and licorice. Check your emotional baggage. Determine what your hot flashes mean to you. Tapping into your body’s wisdom can help ease your symptoms significantly. Many women experience hot flashes when they are angry, especially if they don’t let their anger out. 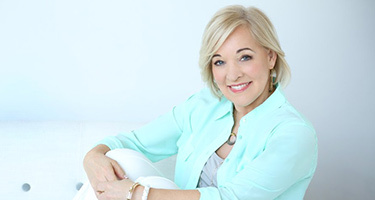 Vicki Noble, author of Shakti Woman: Feeling Our Fire, Healing Our World suggests that hot flashes are the body’s way of naturally cleansing what it no longer needs. If you have any doubts about your emotions, one of the best ways to figure out just how you feel about things is through keeping a journal. Establish a peer support network. Studies show that women benefit both mentally and physically from mutual support. Talking with other women about your experience can help alleviate some of the anxiety often associated with menopausal symptoms. Guthrie, J., et al., 1996. Hot flushes, menstrual status, and hormone levels in a population-based sample of midlife women. Obstetrics & Gynecology, 88, 437–442. Leonetti, H., et al., 1999. Transdermal progesterone cream for vasomotor symptoms and postmenopausal bone loss. Obstetrics & Gynecology, 94, 227–228. I am 48 years old. O have been experiencing hot flashes in the day and night. I had all hormone levels checked including fsh and lh and everything comes back normal. Then the doctor checked thyroid panels. Still normal? I dont understand?!? Does anyone know why the progesterone cream might cause hot flashes? I used to use it years ago and I didn’t have any problems with it. Today I rubbed some on and had hot flashes for about 5 hours afterward. I’ve never had a hot flash before my life. I am OVERWHELMED BY HOT FLASHES, can AMATA capsules HELP ME? For many years I took Hormonal Replacement Therapy but one year after I left it I started with HORRENDOUS HOTFLASHES THAT MAKE MY LIFE MISERABLE. I am in perfect health except for HOT FLASHES. I saw your e mail about AMATA and I thaught it might help me. Is it? aren’t birth control pills a form of hrt? they have hormones in them as well. i use natural estriol and a natural progesterone cream i buy online and they have worked wonders. you have to experiment with them to see what works best for you. I’m 45 and believe I’ve been in perimenopause for a few years now, the doctor also thinks so but all she has said was I have enough hormones, this was in Oct. 2016. I’ve been experiencing hot flashes recently but also have puffy under eye bags that make me look much older along with weight gain and bloating. Has anyone else had eye bags and bloating going through this? I am about to have my 59th Bday this month. Hot flashes have hit me like a Mack truck. I’m going to my doctor to have my hormones checked. If she tells me this is all in my head I’m going to be mad. I don’t sleep except for two hours at a time. I work all day and you can set a clock by my flashes. My question is since I’m a smoker I can’t go on HRT. What can I do to get relief. I’m a hot mess. I need ideas to discuss with my doctor. Also I’ve put on weight over night. I’m bloated gassy holding fluid in my legs. I’m just miserable. Wine IS a low refined carbohydrate. I have had night sweats with palpitations since I had my son in 2006 its been 10 years and I have been to every doctor and specialist. I was 34 when I had my son and now I’m 44 and still have the symptoms each month before my period or during ovulation. I track it on my calender and write down what I ate, what I did or what I was feeling. I’m sick of them. No doctor has been able to help me they all said or say Im too young for perimenopause or when they test my blood all levels are normal. SO I cant handle this anymore. Waking up in sweat, heart racing all for a total of 20 mins. I feel like Im going to die. I cant imagine 10 more years like this. I take fish oil, exercise, eat well balnced meals I dont drink caffeine, alcohol or smoke I live like a nun. I dont know what else to do. Have you been tested for sleep apnea? I started experiencing it after my pregnancy. It would not cause hot flashes but certainly could rouse up the body to a wakeful state. You also may want to get a 24 hr heart monitor to ensure the rhythm is normal during these episodes. I wake from the sweats at times, and hormonal changes do impact sleep apnea in women. Olivia your post was a long time ago but I had to respond — with me, heavy metal poisoning affected my whole body and adrenals specifically, and that caused YEARS of night sweats starting in my 20s. I mean, I was soaked like I took a shower and palpitations so badly I could only attempt to sleep on my right side, otherwise I felt my heart pounding up in my throat. Your HPA axis could be off due to adrenal fatigue — having a baby can certainly cause that, and the adrenals take super long to heal if you don’t specifically treat them. Check out Dr. Lam online for adrenal info. Good luck to you and I hope you are feeling better. I have read all the comments concerning hot-flashes and no one mentioned the feeling I get during a hot flash. I am beginning to get concerned about the feeling of pressure and a kind of swishing feeling, Its hard to explain. My best example is like when you going over a steep hill or roller-coaster and you feel a pressure in your chest. The problem is that I’m sound asleep and wake with a hot flash. It doesn’t happen with a daytime hot-flash. I have also been having feet and leg cramps when I wake. Is this something that could be a problem with my heart? I did see something about menopause and angina. Does anyone have a solution or have they had this experience? Elizabeth, you have described the exact sensation that I have been feeling in my chest. I too, only experience this at night. I have equated it to the feeling of your “heart dropping” such as when you have a quick moment of fear or dread. I am thinking this might result from a burst of epinephrine or adrenaline. I have also had intense hot flashes followed by shaking chills – 20-30 times a day and night sweats. I can’t explain how sick and tired i was feeling, just awful. Now for the good news! I just returned from a vacation to Las Vegas during which I experienced barely any hot flashes and no night sweats – for ten days! During the trip, I didn’t know why I was feeling so well – but then I figured it out! I have been a wine drinker and would have two-three glasses nightly. Wine helps me sleep, or so I thought. While in Las Vegas, we were staying out late and having fun and so I was drinking beer and not wine because I thought wine would make me sleepy. I only had wine one evening about halfway through the trip and THAT night I had that “heart dropping feeling” again and a hot flash! I arrived home today and I have decided to give up wine completely. I only hope this feeling of wellness continues. I am concluding that the wine was a trigger for me and not alcohol in general. I only hope that this is the solution for me. Now I hope giving up the wine will also help me lose weight! I don’t know if you drink wine, but if so stop and see if it helps you, if not maybe you will figure out another trigger that you can avoid. Good luck! I have heard that dong quai (angelica) can cause (ovarian) cancer. is this true? I am a firm believer that diet has much to do with hot flashes and other symptoms of menopause. I am 3rd generation in this country of Mexican descent. Like my parents and other relatives, I eat very little meat, consume lots of beans, corn tortillas, fruits and vegetables, and little dairy. I did an informal poll of older female relatives, and friends also of Mexican descent, and none have ever experienced hot flashes, or night sweats. I have many friends in Mexico and in-laws from Mexico, and discovered there isn’t even a term in Spanish for hot flashes. No relative has experienced these symptoms. We are of various ethnicities, meaning some are of almost all Native American descent, the majority are mestizo (mixed Native American & European), others have mostly European origins, and a couple are of mixed mestizo and Chinese ancestry. More research needs to be conducted. Why use hormones or medication if all one must do is change your diet? Hi Diana, yes there is a word in Spanish for that: Bochornos and I’ve heard it since since I was a child with my mother’s friends and grandmother’s also. I don’t know where they get that Mexicans don’t get hot flashes . Please stop spreading lies. My mother grew up in a rural village with a similar diet to yours and your relatives and she experienced some of the worst symptoms during menopause, including debilitating hot flashes. It could be that the severity of menopause is simply hereditary, but don’t go and say that Mexican women don’t experience them. I saw your situation and couldn’t help but reply. I don’t have that syndrome but have been dealing with a crazy amount of hot flashes every day for at least 4 years now. Nothing worked and the more hot flashes I got the more stressed out I got and the more stressed I got the more hot flashes. Multivitamins and all that didn’t help but sometimes made it worse giving me headaches no matter which brand tried . About 3 months ago I decided to try, out of desperation, a product called balance of nature, their fruits and veggies capsules. They are flashed dried fruits and vegetables. Of course I heard it’s a scam and all that but I was desperate. I was faithful taking them each day and never got the usual headache. It took about a month but my hot flashes are greatly diminished and I’m sleeping again and feel so much calmer now since this whole menopause thing started. If she can eat fruits and veggies she can try these as that is all they are. My heart goes out to her and I hope you read this and give it a try. They aren’t cheap but they have given me my life back and my husband and I feel they are worth every penny. Good luck to you and her. Go to a natropath doc and have the thyroid checked, t3, ts reverse, and t4, as well as all estrogen, progesterone, testosterone. An endocrinologist never checked my t3 rverse and also said i didnt need progesterone. You need all your hormones and the thyroid plays a big part!! Found out i needed liothyronine and bio identicals. No more hot episodes. Ladies! Like most of you, I too am now dealing with menopause, none of us can escape it, right?? Mine began with in the past few weeks, the hot flashes, the panic, the anxiety, the night sweats, increased heart rate, the whole gamut. I felt …doomed. I found this site while looking to become as informed as possible in regards to menopause. I intended to use any information gathered in conjunction with what I am currently using – Essential Oils that are specific for menopause. The first night I used them, I didnt have a drenched tshirt, I didnt have that accompanying panic and anxiety. We know when symptoms start, but by using the oils, I can stay ahead of them. Every woman should know about these oils…EVERY woman. The essential oils I use are from Natures Inventory. They did all the guess work for us, I use Menopause Support, Hot Flash Relief, Emotional Support and Hormone Balance. These can be bought alone or as a group of 4. I recommend all 4 used together. I’ll never be without any of these oil again. They help tremendously, and…NO side effects…this is why I wanted to get this out there to all of you. I hope this post helps someone =) Stay Well Everyone! What are your thoughts on Black Cohosh? Hello,I have read the post of Ange( 4 months ago ) on menopause,hot flushes etc. i don’t really have any panic attacks but I do have bad hot flushes and constant headaches especially at night on going to bed.A lot of pressure in the head and around the neck area. Will these essential oils help me? Hi Ange, do you rub one oil after the other? I NEED to sleep! Menopause is wrecking havoc with my tennis playing, I have practiced Yoga for years and obviously is not helping much, or maybe it is and I’m not worse. Thnx! I did find the emotional suppport, it only grouped the other three together. Where can you find it or will only the three combination work? Thank you and so excited to get some help with these hot flashes!! Add makeup to that list. I realized that when I use Almay foundation for acne control I sweat like crazy. It comes in waves like hot flashes until I wash my face at night. I now understand that the red wine/alcohol that I drink at night is most probably the reason for my hot flashes during the night, but why do I wake just seconds before one hits ? Meaning I am constantly woken all night from about midnight on and unable to go back to sleep for an hour or two leaving me very tired in the morning. You wake up right before the hot flash because your adrenal gland is releasing adrenaline seconds before the flash. I too feel the pain of intense hot flashes the exact same way then I freeze to death until I have another…. So miserable. That’s how I was for at least three years. It is now letting up. I used the natural progesterone cream. It didn’t help hot flashes but helped with dryness. I used the highest level of black cohosh available, 540mg. I had to go to the health food shoes and Amazon. The pharmacy said there is no such a strength. I have since lowered my dosage to 180 mg due to getting less hot flashes. Hi I have had had hot flushes for the last 10 years, periods stoped a year ago, cant go on hrt because of fibroid history, I tend to wake up too early with the flushes what can I do I am sick of not getting enough sleep. I hear you about waking up before they come on and I was getting them throughout night. I have history in family of ovarian cancer, so not a candidate for HRT. My gyn though told me to go on the birth control pill, which I’d been off for several years. I just started back up four nights ago and last night was first night I found relief, so they’re kicking in. She also told me to lay off red wine which is hard because it’s my vice and I love glass every night. I stopped drinking wine two nights ago and really helped. So if you can, birth control pills and reduction or elimination of alcohol consumption may totally help you, as it did me. yikes – read “The Period Repair Manual” …. she REALLY is against going on the pill to address issues. She talks about the trouble it creates… She also talks about WHY doctors prescribe the pill so often for them. Not me I too am not a candidate for hrt. Cervical cancer but they didn’t write for birth control they put me on clonodine which is for blood pressure and other aliments. I have such severe hot flashes then cold chills until the next hotflash so I honestly can’t say anything at all has worked. I’ve battled this for 15yrs. Tried everything I could possibly afford. Still have them…. Just praying they go away or let up it’s pure misery all day everyday…. Lack lack lack of every cell power left….. I’m the one percent they can’t help I guess. Greart luck to you all. I keep OTC glucose in bed. The moment the palpitations start, I bite just a tiny piece og g a glucose tablet. It stops the attack in its tracks immediately. My doctor said I’m wrong, but he’s wrong because this works great. I feel I can go back to sleep. It is empowering. If it works for you, would you let me know? A teeny immediate piece of glucose tablet works for me. Licorice root works. And so does black cohosh. Be careful with the long tern use of licorice root since it stops the production of stomach acid needed to digest food properly. Licorice root is often used for treating ulcer flares, but only used for 2 – 3 weeks at most. I had a radical hysterectomy for the removal of fibroid cysts and within the month began to have hot flashes every 45 minutes, 24/7. Two years later I started bio identical hormone replacement therapy. The prescription is based on the results of a saliva test and estriol, estradiol, estrone, progesterone, testosterone, and DHEA are compounded in a cream that delivers the hormones transdermally, bypassing the liver. I am a vegan and have seen 2 thyroid nodules shrink since the therapy began. BHRT is NOT the same type of hormone replacement that was studied by the WHI, which studied the effects of synthetic equine based hormones produced and distributed by Wyeth Laboratories. I went on HRT, the Patch, about 15 years ago, for I had hot flashes every hour and this took them away. I also had a total hysterectomy 9 years ago. My question is, they say you can have hot flashes for 14 years….and the only reason I did not have them is the HRT, now that I am off hormones for the past 6 months, I have hot flashes again…does the time I was on the hormones count as time. Since I had hot flashes before I started HRT? For if so, I should get over them quickly, just may positive thinking….? I had a total hysterectomy in 2006 and have been on HRT for the past 15 years. I stopped the HRT, the patch, this past December. I am having horrible hot flashes every 60 to 120 minutes. Taking Black Cohosh, 400 mg at night and in morning. Then, Evening Primrose Oil at lunchtime. Tying to cut out rice, pasta, bread and sugars, almost successful. Thinking my one cup of coffee needs to go, for had 2 hot flashes within 30 minutes of drinking the cup. The tower fan is what works best, for I am sweat from head to toe. Any additional information would be helpful, will not go on hormones again. Can you go on birth control? Also do you drink red wine? Eliminating wine helped me, as did the pill. Stopped having hot flashes. Considering your present doctor has known you for so long and your’re still confused as to the why in how your feeling, it sounds like your doctor is not Looking after your best interest. It should be a no brainier. Perhaps a reputable second opinion. If things are made complicated for you, who is in charge and who owns your body? I understand how we get Hot Flashes, but can anyone explain why? The body always seems to have a reason for the biochemical actions and reactions it goes through. Why does the body heat up, sweat and get vasomotor flushes? Is the body trying to clear or burn off overabundant hormones? I have been told I think to much. I over think things and worry about them. I am having trouble figuring out how to just feel and do. It is a life long habit to change. It is affecting my health that i keep things in. How do I heal and let emotions come out so get through menopause and feel good. I have been told to journal. Is that all there is i just dont get what to do. My experience with obsessing, fretting and overanalysing covers many years. It started at least six years ago (57 now) when everything in my life began to go wrong and kept on going wrong, no matter what I did. So I stopped doing anything at all and am now scared or nervous about doing things I used to love and do with much passion. I’ve had traumatherapy with a psychologist and I attended a lengthy mindfulness course, the exercises of which I kept up for months after, but I found they mentally numbed me (even more). I’ve had a very long and difficult peri-menopause and am hopefully now properly in menopause, but only since the end of 2014. What has helped me recently to look at things differently (including journalling about it) is a book I stumbled upon. Reform Your Inner Mean Girl: 7 Steps to Stop Bullying Yourself and Start Loving Yourself by Amy Ahlers and Christine Arylo. If you dare to take a good look at yourself and do the exercises, it will help you with lots of stuff you face during (peri) menopause. Good luck! Hi, thanks for this site. I’m 46 years old, recently was told I’m post menopausal due to a FHL level of 49 and a LH level of 36. I had a period about four months ago. I’ve been having hot flashes, weight gain, fatigue and headaches on and off for about 2 years, but the past year they were almost hourly. I researched bioidenticals and had lab work done. I am taking 20mg of Estriol and 100 mg of progesterone (both bio identicals from a compound pharmacy). I live in Istanbul, Turkey so it’s a very new concept in the country. I didn’t want to take the E1 estrogen out of fear of becoming estrogen dominate. I’ve been on the bio ident. homones for 2 weeks now. When will the hot flashes stop? What’s normal? Due to language issues here in Turkey it’s hard to find different opinions on treatment. I’d like to hear your ideas. I know you can’t give me specific absolutes, but ranges and norms would be great. Thanks in advance. FSH levels fluctuate during perimenopause. I had a FSH measurement of 48, then a month later it was 9. The only true way of knowing you are post menopausal is if you go 12 months without a period. 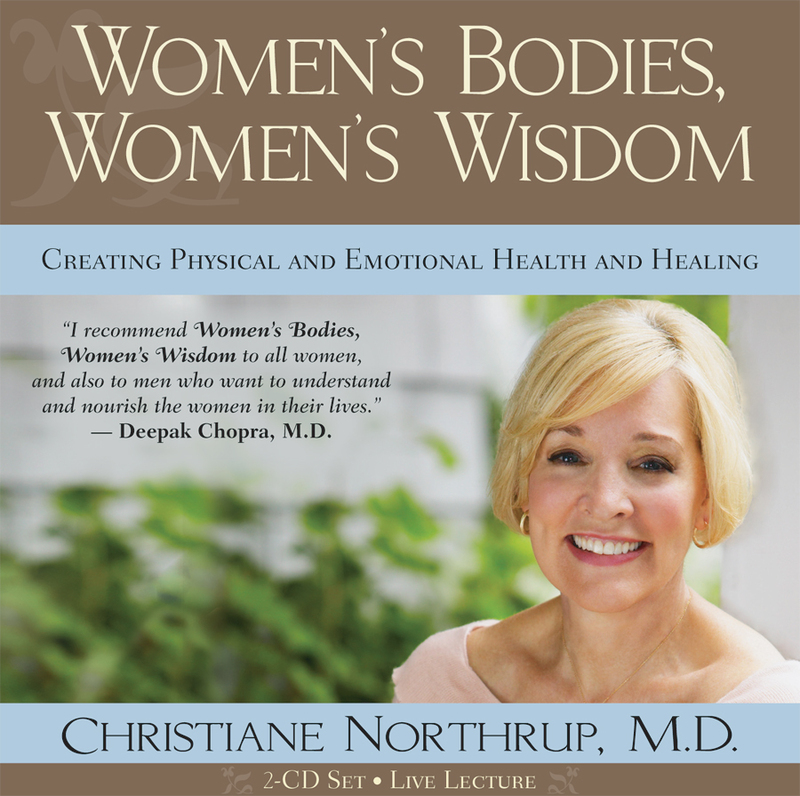 “The Wisdom of Menopause” by Christiane Northrope is a really good source of information. Thank you for reminding me that the recent hot flashes might be due to my doctor’s recommendation to reduce my projesterone levels. I use bio-identical hormones. They have been fantastic. But, you do need to have your hormone levels checked by a blood test to stay on track. Hormones are tricky things! How is the bioidentical estrogen given? And how are one’s hormone levels accurately tested? This is exactly what is going on with me. I’m starting to want me back in the picture. I’m starting to feel resentmant tword my husband. i keep trying to put myself first and then backsliding. Then I blame him for getting in the way. Breaking the cycle of putting myself far down on the “to do list” is so hard!